Nacrite: Mineral information, data and localities. White, grey, yellowish, brownish, etc. From the french, Nacre (mother of pearl) alluding to its lustre. This page provides mineralogical data about Nacrite. Cinnabar 6 photos of Nacrite associated with Cinnabar on mindat.org. Ankerite 4 photos of Nacrite associated with Ankerite on mindat.org. Siderite 2 photos of Nacrite associated with Siderite on mindat.org. Sphalerite 2 photos of Nacrite associated with Sphalerite on mindat.org. Galena 1 photo of Nacrite associated with Galena on mindat.org. Calcite 1 photo of Nacrite associated with Calcite on mindat.org. Hematite 1 photo of Nacrite associated with Hematite on mindat.org. Quartz 1 photo of Nacrite associated with Quartz on mindat.org. 9.ED.10 Hisingerite Fe3+2(Si2O5)(OH)4 · 2H2O Mon. 9.ED.20 Allophane (Al2O3)(SiO2)1.3-2 · 2.5-3H2O Amor. 9.ED.20 Chrysocolla Cu2-xAlx(H2-xSi2O5)(OH)4 · nH2O Orth. 9.ED.20 Neotocite (Mn,Fe,Mg)SiO3 · H2O Amor. 15.11 Allophane (Al2O3)(SiO2)1.3-2 · 2.5-3H2O Amor. Brongniart, A. (1807) Traité élémentaire de Minéralogie, Paris I, 505. Ross, C.S., Kerr, P.K. (1930) Dickite, a kaoline mineral. American Mineralogist: 15: 34-39. Bailey, S.W. (1963) Polymorphism of the kaolin minerals. 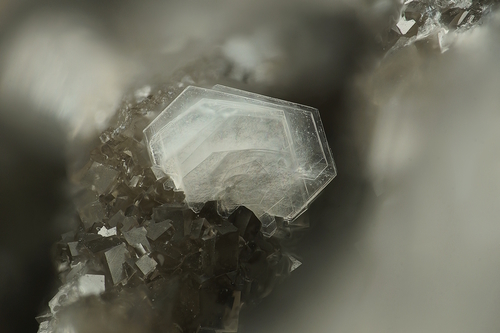 American Mineralogist: 48: 1196. Zvyagin, B.B., Soboleva, S.V., Fedotov, A.F. (1972) Refinement of the structure of nacrite by high-voltage electron diffraction. Soviet Physics - Crystallography: 17: 448-452. Zheng, H., Bailey, S.W. (1994) Refinement of the nacrite structure. Clays and Clay Minerals: 42: 46-52. Gaines, R.V., Skinner, H.C.W., Foord, E.E., Mason, B., Rosenzweig, A. (1997) Dana's New Mineralogy: The System of Mineralogy of James Dwight Dana and Edward Salisbury Dana: 1407. Zhukhlistov, A.P. (2008) Crystal structure of nacrite from the electron diffraction data. Crystallography Reports: 53: 76-82. The following Nacrite specimens are currently listed for sale on minfind.com. Jovic, S.M., Guido, D.M., Schalamuk, I.B., Ríos, F.J., Tassinari, C.C.G., Recio. C. (2011): Pingüino In-bearing polymetallic vein deposit, Deseado Massif, Patagonia, Argentina: characteristics of mineralization and ore-forming fluids. Mineralium Deposita, 46, 257-271. Francis, G.L., 2010. Minerals from the South Middleback Range deposits 2003-2008. (self published) 44pp. ⓘ Mauterndorf quarry ("Twenger Au") ? Schachinger, T., Bernhard, F. & Postl, W. (2015): 1934) Anglesit, Cinnabarit, Duftit-Mottramit, Hemimorphit, Hydrozinkit, Metacinnabarit, Mimetesit und andere Mineralien aus dem derzeit aktiven Dolomitsteinbruch bei Mauterndorf. P. 240 in Niedermayr, G. et al. 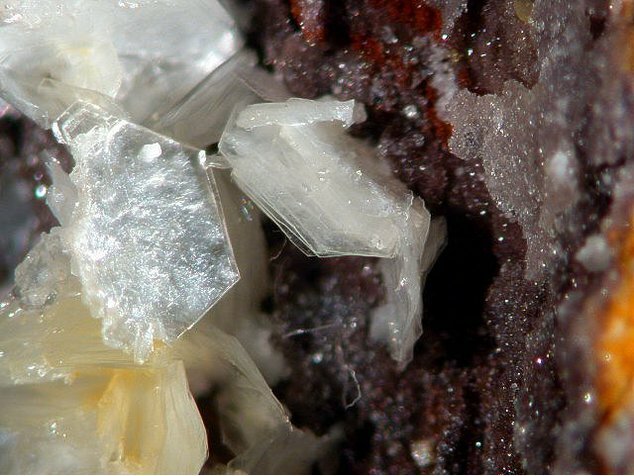 (2015): Neue Mineralfunde aus Österreich LIX. Carinthia II, 205./125., 207-280. Mudrinic, C. & Janjic, S. (1969): Mineralogical composition of bauxite deposits in Vlasenica. Arhiv za Rudarstvo i Tehnologiju 7, 3-7 (in Croatian). Battler, M. M., Osinski, G. R., Lim, D. S., Davila, A. F., Michel, F. A., Craig, M. A., ... & Preston, L. J. (2013). Characterization of the acidic cold seep emplaced jarositic Golden Deposit, NWT, Canada, as an analogue for jarosite deposition on Mars. Icarus, 224(2), 382-398. Vtělenský J. (1959): Mineralogie oolitických železných rud z některých ložisek Barrandienu. Geotechnica, sv. 26, Nakladatelství ČSAV Praha. 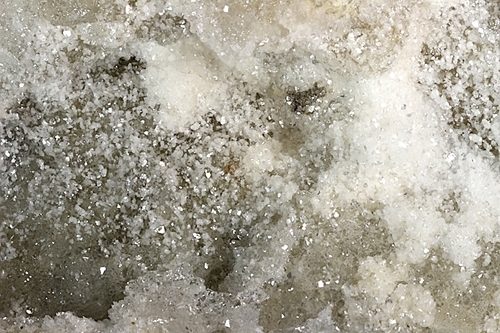 http://www.metafro.be/mineralogy/sample/5121/mineral and http://en.wikipedia.org/wiki/Rutshuru; Wall, F., Williams, C. T., Woolley, A. R., & Nasraoui, M. (1996). Pyrochlore from weathered carbonatite at Lueshe, Zaire. Mineralogical Magazine, 60(402), 731-750. Dill, H. G., & Weber, B. (2010). Accessory minerals of fluorite and their implication regarding the environment of formation (Nabburg–Wölsendorf fluorite district, SE Germany), with special reference to fetid fluorite (“Stinkspat”). Ore Geology Reviews, 37(2), 65-86. Kohout, K. (2008): Der Steinbruch Giro am Mannbühl: Spitzenfunde aus 27 Jahren. Lapis, 33 (5), 32-35. Müller, G. (2013): Mineralien des Saarlandes und angrenzender Gebiete. Hajek, W. (2010): Kristallwelten Marienberg. Weise Verlag, München. Baumann, L., Hofmann, F. & Weber, W. (1997): Glückauf Freiberg. Bergbau, Erze, Mineralien. Bode Verlag Haltern, 168 p.
Voicu, G., & Bardoux, M. (2002). Geochemical behavior under tropical weathering of the Barama–Mazaruni greenstone belt at Omai gold mine, Guiana Shield. Applied geochemistry, 17(3), 321-336. Ferretti, P., Camin, C., Fassina, B., Gentile, P., Rocchetti, I., Vecchi, F. (2018) Miniera Tingherla (Frassilongo, Valle del Fersina). Aggiornamento di una località classica della mineralogia trentina. Rivista Mineralogica Italiana, 42, 2 (2-2018), 108-141. Canal, A., Fassina, B., Ferretti, P., Gasparetto, P., Pegoraro, S., Tosato, F., Zammatteo, P. (2012): Compet, galleria a quota 1358 ms.l.m., Monte Fronte, Vetriolo, Trento. Micro, 1-2012, 1-48.
ⓘ Rio Ricet mine ("Rio Menegol") ? Paolo Gasparetto, Erica Bittarello, Andrea Canal, Lara Casagrande, Marco E. Ciriotti, Bruno Fassina, Paolo Ferretti, Sergio Pegoraro, Fabio Tosato, Paolo Zammatteo (2014): I lavori minerari del Rio Ricet, Vignola, Falesina, Trento. Micro, 12, 50-123. 米田哲朗. (1989). 北海道南白老重晶石・カオリン鉱床の粘土鉱物組成. 粘土科学, 29(2), 69-80. Parker, R. (2010). Geology And Mineral Resources Of The Bilbao Silver-Lead-Zinc Deposit, State Of Zacatecas, Mexico. Private Company Report for Xtierra Inc.
Migaszewski, Z.M., Starnawska, E., Gałuszka, A. (2007): Gorceixite from the Upper Cambrian Rocks of the Podwiśniówka Mine Pit, Holy Cross Mountains (South-Central Poland). Mineralogia Polonica, 38, 171-184. Onac, B. P., Bengeanu, M., Botez, M., & Zih, J. (1995). Preliminary report on the mineralogy of Pestera din Valea Rea (Bihor Mountains, Romania). Theoretical and Applied Karstology, 8, 75. Varček C., 1957: Prehľad paragenetických pomerov rudných ložísk Gemera. Geol. Práce. Zoš, 46, p. 107-131. Cairncross, B. & Dixon, R. (1995). Minerals of South Africa. Geological Society of South Africa: Linden. G. Grundmann collection # 128, originally sold by Kristalldruse. Mendoza, J. L., Navarro, A., & Cuitiño, L. (2006). Nueva interpretación metalogenética del yacimiento de mercurio del Valle del Azogue (Almería), España. In XI Congreso Geológico Chileno, Actas (Vol. 2). M.D. Ruiz Cruz, B. Andreo : "Tosudite in very low-grade metamorphic graywackes from the Malaga area (Betic Cordilleras, Spain)", Eur. J. Mineral. , 1996, 8, 1391-1399. Calvo, M. (2018). Minerales y Minas de España. Vol. IX. Silicatos. Escuela Técnica Superior de Ingenieros de Minas de Madrid. Fundación Gómez Pardo. 767 págs. Simmons, S. F., White, N. C., & John, D. A. (2005). Geological characteristics of epithermal precious and base metal deposits. Economic Geology 100th anniversary volume, 29, 485-522. Anthony, J.W., et al (1995), Mineralogy of Arizona, 3rd.ed. : 203, 310. U.S. Geological Survey, 2005, Mineral Resources Data System: U.S. Geological Survey, Reston, Virginia. Januzzi, Ronald. (1976): Mineral Localities of CT & SE NY State, p. 234-5. Miller, 1972. Minerals of Rhode Island.